Please provide the below information about your home health agency. Upload your company's logo image. Please Type "NONE" If your agency does NOT have a website. This may be cross referenced with DADS by referring staff. This may be cross referenced with the accreditation agency by referring staff. Your title at your company. You will be contacted by Quality Healthcare Consultants in Houston Texas. Physicians, Case Managers, Social Wokers & Administrators love using us! 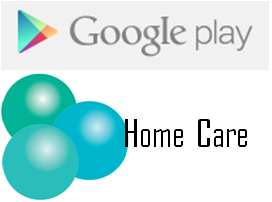 * HomeHealthFinder.com is a one stop shop to find home health care agencies for patient post acute care. 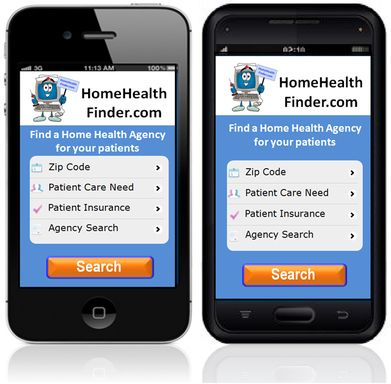 HomeHealthFinder.com prides itself as a resource tool to aide Hospitals, Skilled Nursing Facilities, LTAC Hospitals, Physicians, Assisted Living Facilities, Home Health Care agencies and private paying individuals to find you. * Find an in-network agency for patient care. * Find a qualified agencey for post acute patient care. * Send you a referal from this Mobile App. to your home screen as a "Home Icon"